I recently presented a workshop on “Cool tools for data collection,” where the participants learned about Quizizz, and Kahoot. One of the newer tools out is Pear Deck. I haven’t had a chance to try it out, but it puts a jolt of energy into powerpoint slides and makes them become interactive with your students. 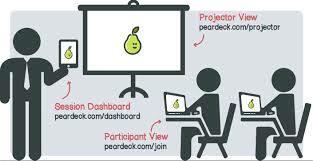 Pear Deck gives users the ability to use the tool for free up to three projects. You get limited features but the free version gives you the opportunity to get a feel of the tool before you purchase more options with the paid version. This tool is pretty easy to use as it interacts with your google account to save your slides there. If you know how to use powerpoint, the Pear Deck set up will not be difficult for you. Below I found a great article on comparing Quizizz, Kahoot and Pear Deck . If you give it a try, comment to me as to how you like the tool and how it could be used as a social work and data collecting tool. Have fun! Comparing Classroom Response Systems: Kahoot, Pear Deck, and Quizizz | Technology Pursuit. Why Don’t You Join Me For A Great “Kahoot!” One Of The Best Tech Tools To Try! Kahoot is by far my most favorite web site and formative assessment tool. Kahoot has been around for a while, but many clinicians have not heard of it, and its implications for increasing SEL. Kahoot is extremely fun, informational and engaging. So what is Kahoot? Kahoot is a tool that can be used for a variety of purposes, assessing students, collecting data, checking for understanding and having fun. 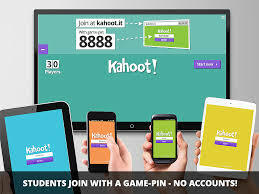 Kahoot is free, easy to set up, and can be used with any device (cell phone, Ipad, Android tablet, laptop or computer). One important note, you should have a large screen available (like in the picture above), to display/project the questions on. The participants need to see the questions all at one time to participate in a Kahoot. I have introduced Kahoot to kindergarteners and they were able to pick up the concept easily. Kahoot gives the instructor the ability to restrict people from entering a name on the board that is offensive or inappropriate. The instructor can just cross off the name on the board and it will disappear. Some students may struggle with the coordination of looking at the screen and matching the correct answer to the color on their screen, but with practice, these students catch on wonderfully. 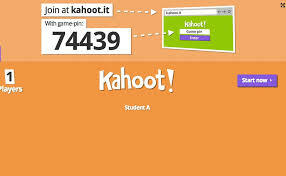 Kahoot also can promote collaboration as students can play as a team, or assist each other. It is a great social emotional learning tool. Through a simple ‘drag & drop’ creator tool (using any device), build quizzes with embedded imagery and video, based on educational content. Or, find public content to play. It’s fast, intuitive and fun! Join using any device with a web browser! Here is a short video on how to make a Kahoot. I have used Kahoot for many social emotional learning lessons. I use it for review with social skills books such as learning about differences, or tattling. I reinforce a skill that was taught in one of their classes, and promote collaboration skills. The best part is, you can use the data to show learning outcomes. 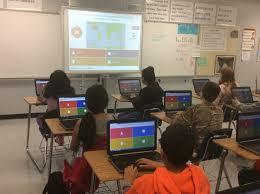 Kahoot is really a great way to get your students involved. Leave a comment on how you would use Kahoot in your clinical practice. Have Fun! Looking for that specific app but you just don’t have the time to search, read the specifics and test out the app. The app sounds good, but it may be a fee, and to top it off, there are in app purchases. This can be so frustrating, but there is an answer, Graphite. Below is what Common Sense Education has to tell us about Graphite. 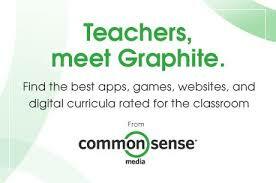 Graphite is a free service from Common Sense Education that makes it easy to discover the best apps, games, and websites for classroom use. Tools like Edmodo, Educreations, ClassDojo, and Socrative have been thoroughly reviewed by our expert educators and received numerous teacher reviews we call Field Notes. We’ve also reviewed lots of Common Core-aligned products like StudySync, PBS Learning Media, VoiceThread, IXL Math, and Khan Academy. Wondering how to use BrainPOP Jr. effectively with your students? We’ve got you covered. Ever considered using Minecraftwith students? Read Chad Sansing’s blog article comparing Minecraft and MinecraftEdu. Our educational expert reviewers rated ABCya! three stars for learning potential, while our teacher community has collectively given it four. How would you rate it? It’s easy to add your voice to the conversation about how to best leverage technology in the classroom. 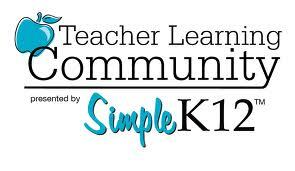 Simply join for free and start submitting Field Notes about the products you use with students. Whether you’re looking for tips for using Twitter in the classroom or advice on which media creation tools are best for flipping your classroom, Graphite’s ratings and reviews, blog articles, and webinars provide the information you need to make great technology choices. Although the site discusses apps reviewed for teachers, the reviews help counseling professionals make decisions regarding apps that can assist with various social emotional learning goals. Clinicians, make your voice heard and add a review! Printable Worksheets & Teaching Aids – Print ready Documents in PDF format, September 2008 – Teachers.Net Gazette. 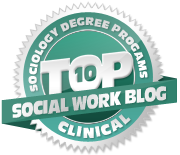 This site provides a variety of social work career resources such as: roundups of webinars and best in mental health posts from around the web, self-care, interviews with mental health professionals on different modalities/practices, key learning’s from trainings, as well as LMSW licensing exam strategies, interviewing tips and more. The site creator researches pertinent information that can be helpful in practice. Great tool on the internet to bookmark and add to your Pinterest. Check out the site by clicking on the image above.